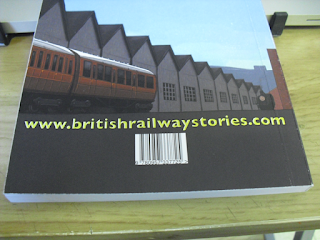 THE BRITISH RAILWAY STORIES LTD: "Final proof sample of the book delivered!" We are so close to printing and binding the first edition of "Tale of the Unnamed Engine" that the excitement is palpable. 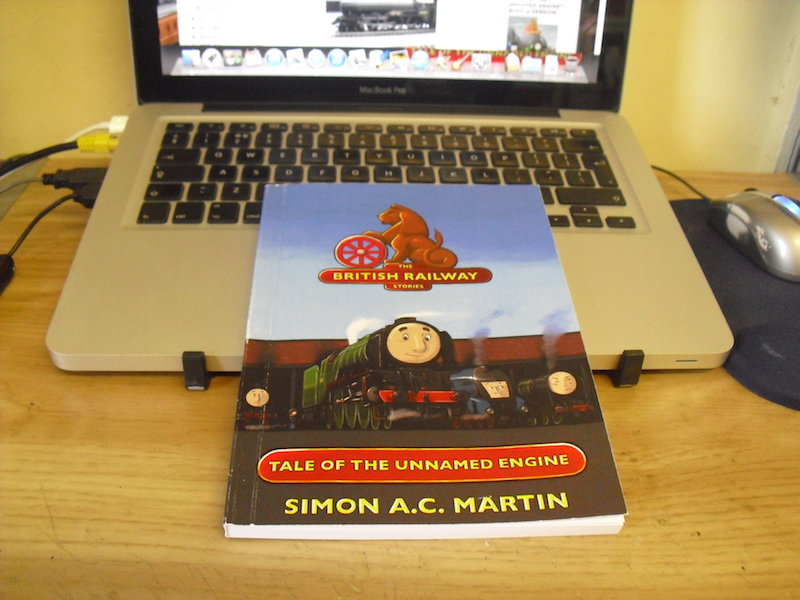 We came a further step closer today with the final proof version of the book, seen above. 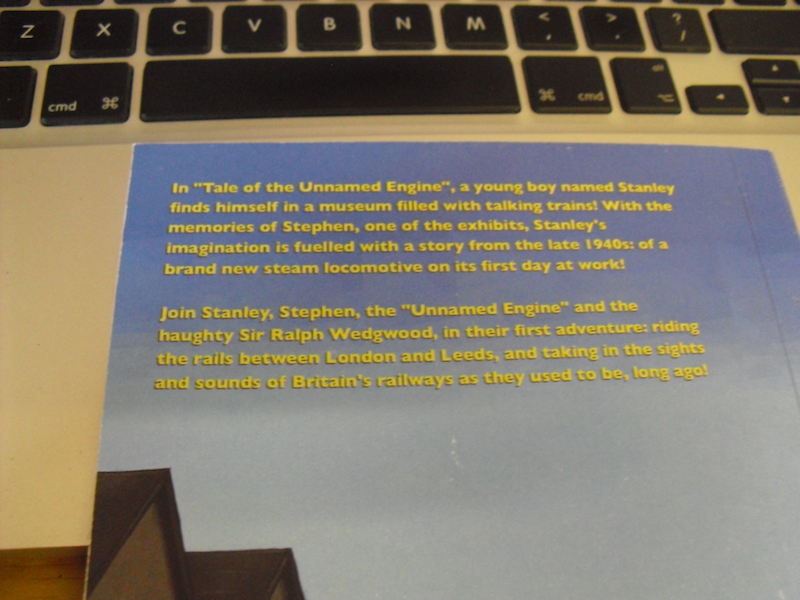 This is more or less the final version of the book. There are a few specific changes I have to make inside the book, but the front and back covers are now locked down: they will not be changed. One of the things you can't see in these photographs (particularly frustrating!) is how light the colours are. They come out much darker in photographs. The actual printed book will come out a lot lighter in any event, as this is RGB digital printing, as opposed to CMYK printing on an actual press, as the book will be made. 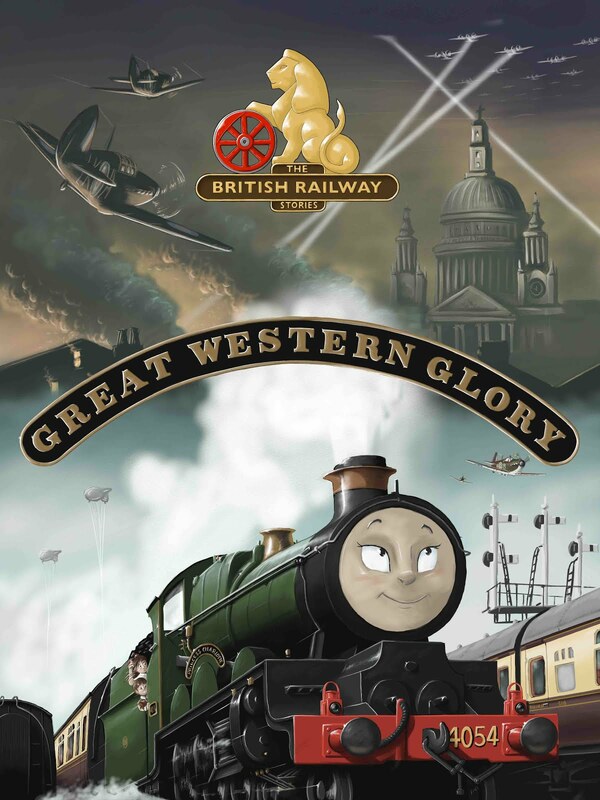 Note the wonderful artwork includes Stephen and Stanley on the front cover! 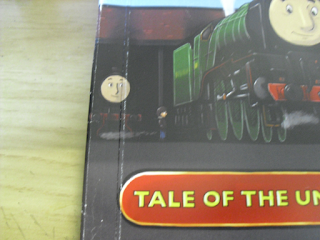 Along with the Unnamed Engine, Sir Ralph Wedgwood, and...who's that on the far right? Dean's work has absolutely blown me away in print. 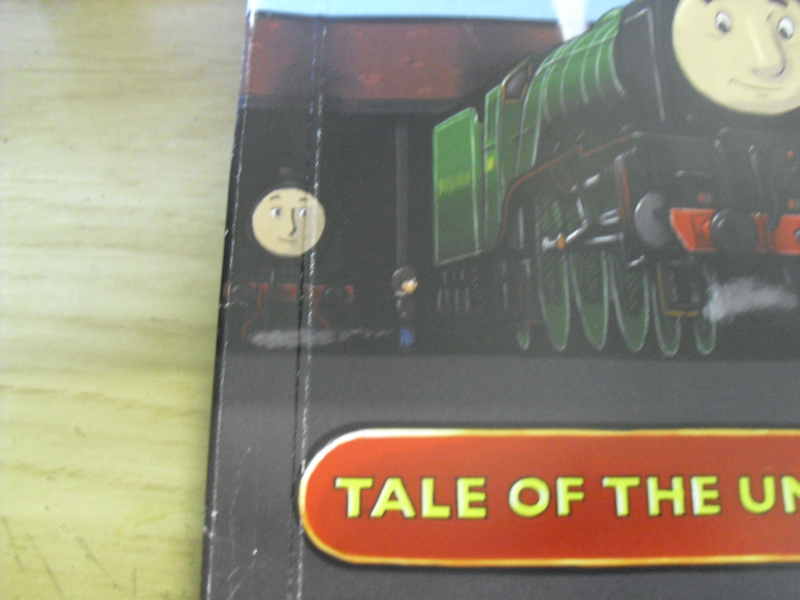 I knew it was of a very, very high standard, but in book form it goes even further than that! I have increased the first batch of books from 500 to 1000 due to unprecedented demand. I will be opening up the BRWS Ltd Amazon store soon for pre-order worldwide. 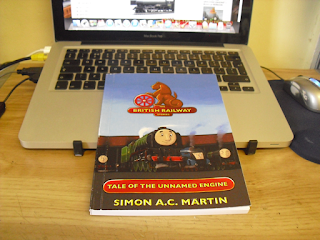 I have reserved a number of books for individual shops and one locomotive group. One promise I want to make to all those who will be stocking the book, is that BRWS Ltd will not undercut any of our stockists. We will sell the book at full RRP (to be announced) with P&P added on top of that. We are now so close to release. All that remains is to sort out any remaining discrepancies or mistakes, and to finalise the making of the individual plates for printing, so that we can have them printed and bound before the end of February, with deliveries starting in early March. The realisation of the dream is far, far better than I could have ever imagined it. I am also going to get carpal tunnel from signing 1000 books. That's a guarantee!